Accipiter Capital Management is often called as a healthcare specialist hedge fund and it is currently managed by Gabe Hoffman. It has a current portfolio of $54.13 million, as per its latest SEC 13F filing, with its primary investments in healthcare and service industry. Bed Bath & Beyond Inc. (NASDAQ:BBBY), Triple-S Management Corp. (NYSE:GTS), Kinder Morgan Energy Partners LP (NYSE:KMP) are the top investments of Accipiter Capital Management. Bed Bath & Beyond Inc. (NASDAQ:BBBY) is among the largest holdings of Accipiter Capital Management with197,344 shares worth $11 million. 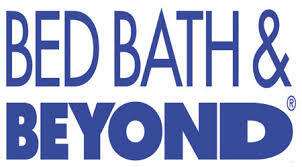 Bed Bath & Beyond Inc. (NASDAQ:BBBY) reported net sales of $2.94 billion with $224 million in net earnings during second quarter 2014. Royce & Associates is among the largest investor of Bed Bath & Beyond Inc. (NASDAQ:BBBY) with investments worth $159 million followed by Renaissance Technologies ($134 million) and Aqr Capital Management ($44 million). Triple-S Management Corp. (NYSE:GTS) is the second largest company in Accipiter Capital Management’s portfolio with 498,851 shares worth $8 million. Triple-S Management Corp. (NYSE:GTS) announced net revenue of $586.2 million for the second quarter 2014 with net income of $27.4 million. Some of the primary investors in Triple-S Management Corp. (NYSE:GTS) include Lakewood Capital Management ($38 million), Accipiter Capital Management, and Healthinvest Partners Ab ($6 million). Accipiter Capital Management owns 102,115 shares of Kinder Morgan Energy Partners LP (NYSE:KMP) worth $8 million. Kinder Morgan Energy Partners LP (NYSE:KMP) reported net revenue of $3.57 billion for the second quarter 2014 with net income of $669 million. Renaissance Technologies has the largest stake in Kinder Morgan Energy Partners LP (NYSE:KMP) at $65 million followed by Peak6 Capital Management ($11 million), and Driehaus Capital ($11 million).